Cunningham Covers are leaders in supplying custom water treatment bags to the fish farm industry. 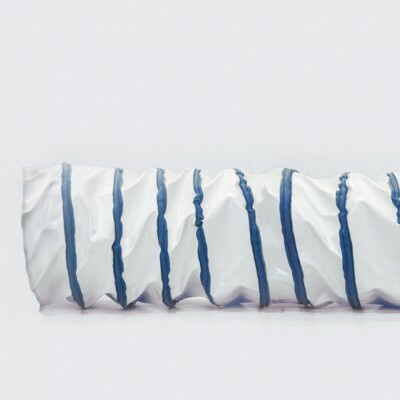 Our water treatment bags are designed for demanding environments with quality materials that are built to last. During marine construction silt and sediment can cause turbidity in the water, turbidity is measured by the quality of the water. Silt curtains also known as turbidity curtains are used to control this and create a barrier to stop the spread of this contamination. When construction is taking place in or around waters it is imperative that steps are put in place to prevent any spread of turbidity due to legislation. 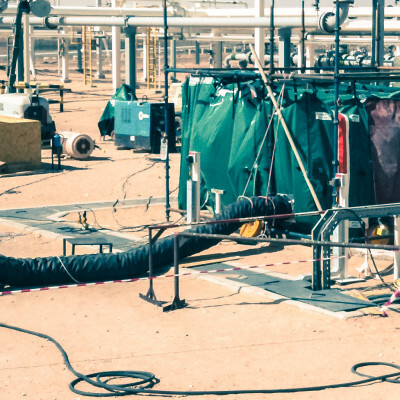 Cunningham were approached by a leading refinery in the Middle East region with a specific request to utilise the Cunningham Safezone pressurised habitat system. We had been highly recommend by another project manager that had started using our habitat for a similar purpose. Convert your flatbed trailer with our Cunningham Curtainside conversion kit. Over the years we have partnered with many bodybuilders and individuals to help with the conversion of flatbed trucks or small open beverage trucks. The advantages of converting to a curtainsider system are endless and our technical team can help you every step of the way with the Cunningham conversion kit. Cunningham Covers provide custom noise control barriers in any shape, size or colour you require. 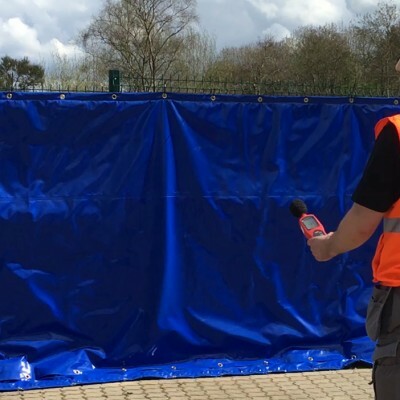 Our bespoke noise control barriers are a simple solution to improving your working environment by reducing noise for workers and those living in surrounding areas. At Cunningham Covers, our flexible ducting is used in a variety of industries worldwide. Our durable flexible ducting and hosing is made to withstand tough conditions which is why it has been used in the aviation, marine and mining industries. Our made-to-measure ducting is tailored to your specific environment and we can guarantee its suitability for withstanding high temperatures. We can also create specialised hosing that is resistant to chemical corrosion.